I not only need 14 year old party ideas, I need Sleep Over party ideas too. My daughter has her heart set on a pajama party for her 14th birthday. She has been bugging me for a while and I finally gave in. The party date is in August and we do have a swimming pool, so that should make it a little easier to plan this teen party. 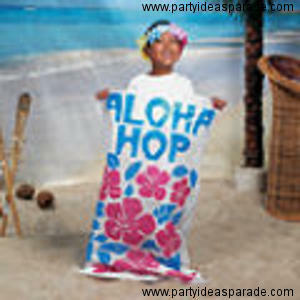 I was thinking of a Luau birthday party. That sounds like fun...do you have any unique ideas I could use so that this party is a little different from all the rest? Join in and write your own page! It's easy to do. How? Simply click here to return to Got Party Questions? Get Party Tips!.